This article is part of a series on Molinism. Calvinism has been summarized in the acronym TULIP, while Arminianism has been summarized in The Five Articles of Remonstrance (one guess on which camp is more oriented to accessible, memorable teaching :). However, many people are not completely satisfied with either pole, esp. the more abusive extremes of each (see Orthodox Heresies, 7 false doctrines of the Church for more on these extremes). 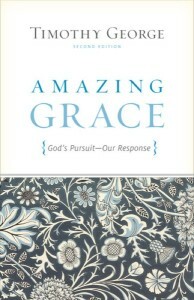 However, back in 2000, Timothy George published a well received (but blandly titled) book entitled Amazing Grace: God’s Pursuit, Our Response, in which he coined a new acronym to represent Molinism, a position that attempts to bridge the gap between Calvinism and Arminianism. George’s acronym is ROSES, and his acronym has been further developed and explained in books such as Keathley’s Salvation and Sovereignty: A Molinist Soteriology and Lashley’s Calvinism, Arminianism, or Another Option: A Hubmaierian/Molinist View of Soteriology, a great summary which is very inexpensive on Kindle. The outline below is from Lashley’s great summary. R – Radical Depravity: Every aspect of our being is affected by the fall and renders us incapable of saving ourselves or even wanting to be saved. This in lieu of total depravity. O – Overcoming Grace: It is God’s persistent beckoning that overcomes our wicked obstinacy. This is the alternative to irresistible grace. Every individual is subjected to this grace. Only those who God, in His sovereignty, has created to allow themselves to be overcome by their own free choice will do so. S – Sovereign Election: God desires the salvation of all, yet accentuates that our salvation is not based on us choosing God, but God choosing us. An option as opposed to unconditional election. As stated earlier, God decreed to actualize this world in which He knew of those who would freely come to Him. And in so doing, elected not to actualize an alternate world in which we would not freely choose Him. E – Eternal Life: Believers enjoy a transformed life that is preserved and we are given a faith which will remain. Another way of regarding perserverance of the saints. Once we are sealed by the Holy Spirit upon regeneration, we will not fall away. S – Singular Redemption: Christ died sufficiently for every person, although efficiently only for those who believe. This instead of the deterministic option of limited atonement. The blood of Christ was shed for all of humanity. It serves as a pardon for the believer who has Christ’s righteousness imputed to them. For the unbeliever, it will serve as an indictment. There are many more Molinist resources in the prolific and profound Max Andrews’ excellent Molinist Directory.